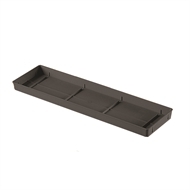 Italian designed and produced troughs ideal for the more budget conscious consumer. Made from UV and dust resistant plastic. Use for everything from flowers to the vegetable garden.